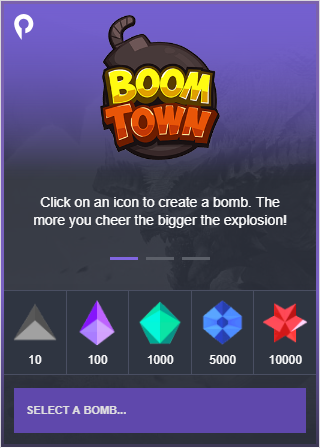 Note: BoomTown must be installed as an extension first before adding it as a Twitch Component or Panel. To learn how to install it, click here. 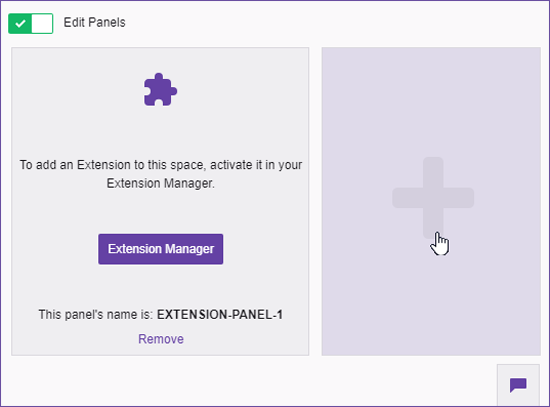 Go to My Extensions (Dashboard > Extensions, then My Extensions) or click here. 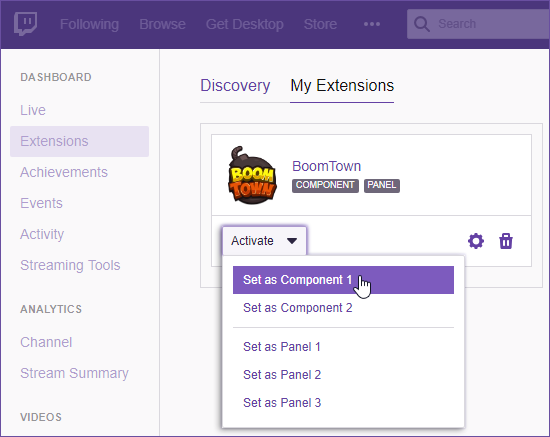 Look for BoomTown, then click Activate and from the menu select any of the available Components. 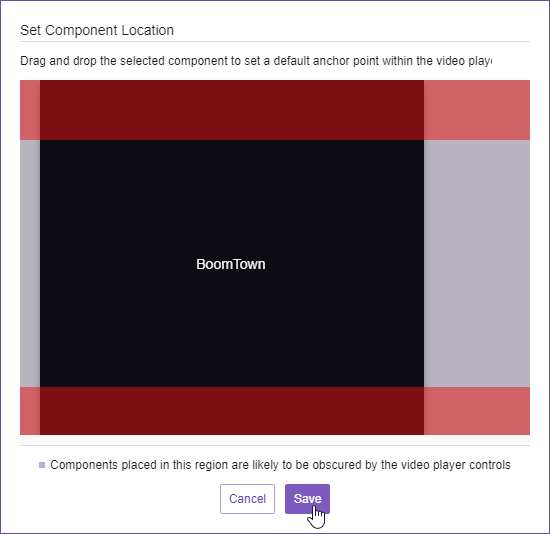 Set the location on where you want the Twitch Component to appear, then click Save. 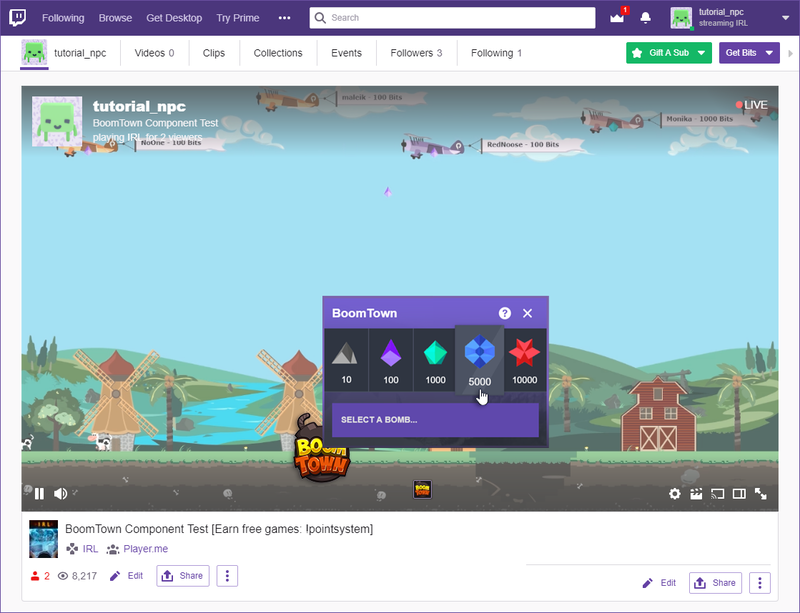 The BoomTown extension will now appear on your Twitch video whenever you’re live! Note: To change the position of your Twitch component, just select the Active menu again and click Reposition Component. Go to your Twitch channel. 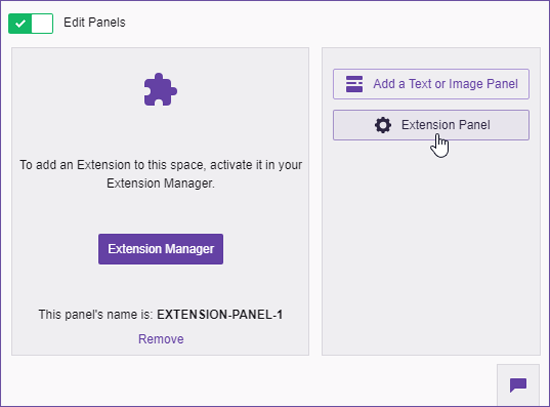 In your Twitch panels area, click Edit Panels. Click the + button and select Extension Panel. Remember the name of the Extension Panel. Then go to My Extensions (Dashboard > Extensions, then Extensions tab) or click here. 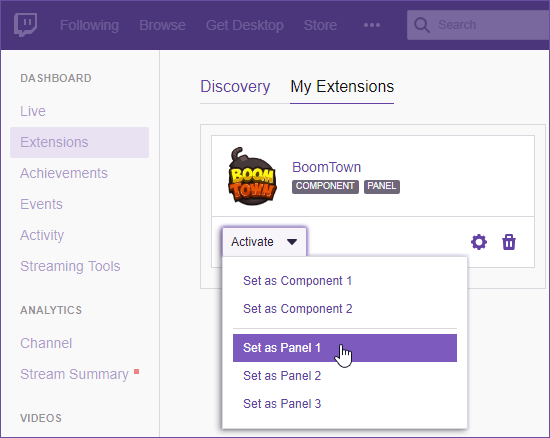 Look for BoomTown, then click Activate and from the menu select the Panel that matches the name of Extension panel you added. Your BoomTown panel will now appear on your channel and can be accessed by your viewers!